Ginger Nut Media decided to become a member of the DMA to ensure that the customer’s interests are at the heart of their marketing campaigns. The DMA is a self-regulating body that maintains a high-level of quality marketing practice. This ensures that our clients and their consumers are treated lawfully and with respect. We also have a member of our team sitting on the DMA council. This means we are always at the forefront of direct marketing best practice and compliance and are known as trend setters in the industry. Ginger Nut Media is proud to have been accredited by Investors in People. This signifies that Ginger Nut Media gets the best out of people through its people management program and the staff gets a high reward from working at Ginger Nut Media. Organisations that demonstrate the Investors in People Standard gain an accreditation through an in-depth and unbiased assessment to determine performance. If you would like to see our assessment for any reason please let the team know. 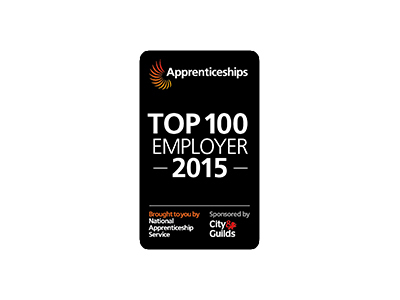 In 2015 Ginger Nut Media were placed in the City & Guilds Top 100 Apprenticeships Employers. We are very proud to be within this list alongside names such as ITV, Santander and Ford. Our aim is to provide the best opportunities for our apprentices across a wide range of work areas. This continued recognition has resulted in the business expanding into training apprentices in other business’ and we have set up a training company listed on the governments register of training providers. If you would like to find out more about how we can train your apprentices then click here. In November 2014 Ginger Nut Media were rewarded with the Virgin Trains Award for Newcomer SME of the Year and is recognised as one of the nation’s top apprenticeship employers of the year. Interested in finding out more about our award winning apprenticeship scheme? Ginger Nut Media are registered with the Information Commissioner’s Office. These are the UK’s independent body set up to uphold information rights. With regards to the 1998 Data Protection Act and laws that have impacted the Data Protection Act since it was introduced. Ginger Nut Media is incredibly proud and delighted to have been given the great honour to be a signed up Bronze awarded member of the Armed Forces Covenant. We strongly believe it is our duty to help and support not only those who are on reserve duty and those still serving their country but also those who have left the armed forces to try and get employment, additional training and return to civilian life assistance.